Be aware of soft fibers with long cut pile are beautiful and very soft, but you will see traffic marks and it will very hard to recuperate back to the original position. 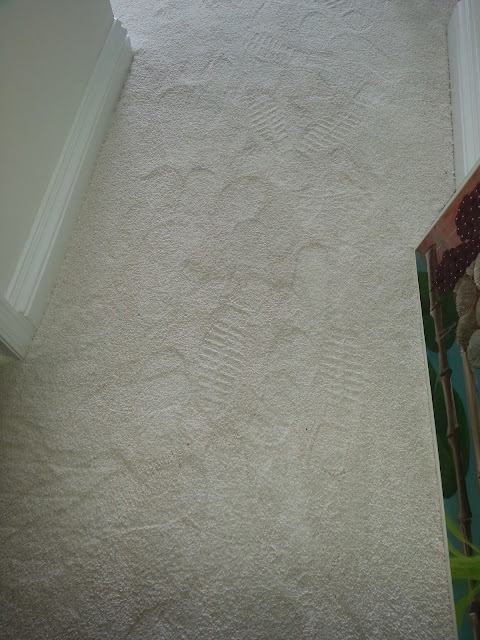 We have an experience with a customer who came to the store and bought a very nice soft fiber cut pile carpet and she stepped on a beige sample in the store light with out hardly seeing marks and footprints but we told her that there will be some marks because it is a soft fiber. Anyway she liked it and bought it. She bought a very light color soft cut pile carpet for two rooms with direct ocean sunlight. We installed it and the following day in the morning the customer saw all over the carpet very noticeable traffic marks and footprints in her new carpet. We agreed it did not look very nice for an expensive carpet. Thankfully the factory changed her carpet without any cost. The lesson we all learned from this experience; if you as a customer do not like any footprints or traffic marks don't look for soft cut pile fabrics because you will notice them.